DSLR’s and mirrorless cameras dominate the market, leaving compact digital cameras on the sidelines. Despite the increasing popularity of DSLRs and mirrorless cameras, there are still plenty of people who prefer compact point-and-shoot cameras over other complex and heavy ones. With that said, we’ve made a guide on how to choose a compact digital camera, so you’re sure to get your money’s worth. Later on, you’ll also find a list of some of the best compact digital cameras in the Philippines. Before we get to our list of the best compact digital cameras on the market, let’s first find out what important features we should look for. Before buying a camera, the first thing everyone checks for is the image quality. Keep in mind that image quality isn’t limited to how many megapixels a camera has. Read on to find out and understand other factors that contribute to great photos. Normally, you’d think that between a 16MP and 24MP camera, the latter would produce better photos, right? Well, this is both true and false. 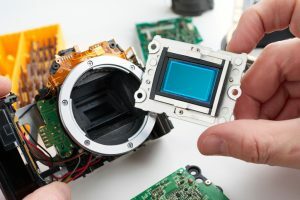 Image quality isn’t only determined by the megapixel count; it’s also determined a camera’s image sensor size. Choosing a camera with a 1-inch sensor or larger will give you better image quality than your phone. These are slightly expensive at 15,000 to 25,000 pesos, but it will be worth your money. While full-frame cameras are recommended, this system tends to be expensive. Also, most compact digital cameras you’ll see on the market will carry a crop sensor. 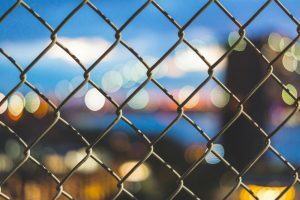 You might be wondering, “What is bokeh?” It’s a Japanese word that means “blur,” but more than that, it refers to the quality of the out-of-focus or blurry parts of an image. For a more creamy or eye-pleasing bokeh, choose a camera with a lower f-stop or aperture. If the maximum aperture of a compact camera is around f-stop f/2, then you’ll be able to take photos similar to a DSLR. Also, cameras with lower f-stops perform better at night and in lowlight conditions. The lower the f-stop, the more light can come into the sensor. That’s why we recommend cameras with an aperture of f/1.8 to f/2.8. ISO sensitivity, in a nutshell, is what allows you to take pictures in the dark. Also, raising the ISO allows you to use a faster shutter speed, which prevents blurry pictures caused by camera shake. 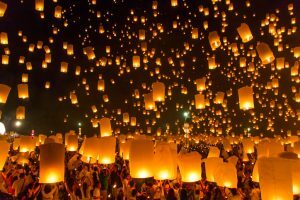 If a camera has around an ISO of 3200, then you’d have no problem taking pictures during the daytime and indoors. For dark places, a camera that can shoot at an ISO of 6400 is recommended. Just take note that raising the ISO will make image noise or grain visible on your pictures. Thankfully, cameras with larger sensors can take pictures at higher ISOs without affecting the image quality. Even though image quality is the most important factor when choosing a compact digital camera, it’s not the only aspect you should consider. Don’t forget to check for other features that level up your photography. We recommend looking for compact cameras with an image stabilization feature to help deal with unwanted camera shake, which causes blurry images. There are two types of image stabilization technologies: electronic vibration reduction and optical image stabilization (OIS). The latter option is simple, powerful, and does a better job. There are also digital cameras that offer both image stabilization technologies in one. As much as possible, choose the camera with the best image stabilization that fits into your budget. There are times when we can’t wait to share a picture with friends and family over social media. So if you’re also the type who can’t wait to get home to transfer images to your computer, it’s best to get a compact camera with wireless connectivity. 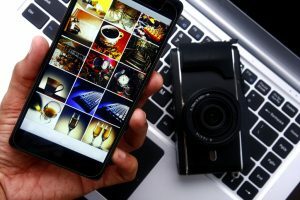 Look for cameras that support Wi-Fi, Bluetooth, or both, which allows you to transfer photos to your smartphone and computer. Do you love taking selfies and want to have better quality ones? 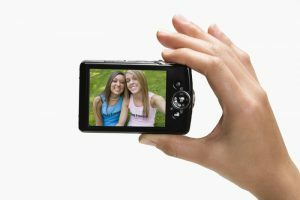 Then we recommend getting a digital camera with features meant to help you take perfect selfies–like a self-timer or a flipping rear LCD screen. Do you plan to take portraits, landscapes, or macro shots? First, determine what you plan to use the camera for before checking on the focal ranges of cameras. Read on as we give you a quick guide to understanding the suggested focal lengths for different photography styles. The focal length of compact digital cameras refers to its optical zoom feature. A 10-100mm lens would have a 10x zoom, while a 10-50mm lens would have a 5x zoom. If you compare taking a photo from a digital camera and an iPhone, you’ll notice that the digital camera captures a broader perspective. For people who feel that the focal range of an iPhone is unsatisfactory, go for a camera with a starting focal length of at least 18-26mm. 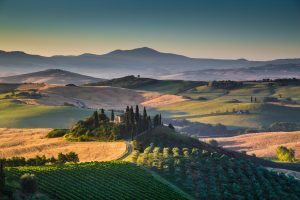 Yes, it would be best to choose a camera with a focal length of 18mm, but you can also settle for ones with a focal length of around 24mm as these will be cheaper and easier to use. As long as you plan on using this for casual shooting, then you can opt for a wider lens instead of a telephoto one. As long as you don’t plan on using the camera for shooting wildlife or sports, you can settle for zoom lenses that go up to 100mm. There are some telephoto lenses that can zoom up to 1400mm, but for everyday use, a 100mm zoom lens will do just fine. If you plan on shooting wildlife or sports, on the other hand, then choose a compact digital camera with a telephoto range of at least 300mm. But 300mm is just the minimum, so if your budget allows it, choose one that exceeds 500mm. There is also another type of camera called a “bridge camera.” These cameras give you almost the same quality and features of a DSLR or a mirrorless camera and the ease of use of a point-and-shoot. Some models also have focal lengths ranging from wide angle to telephoto, which means they can be used to photograph subjects from far away. Although this isn’t really about focal lengths, macro photography falls somewhat near the topic. 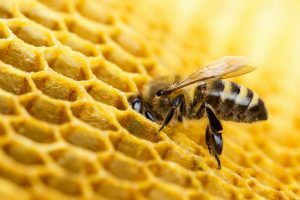 If you like taking very close up shots of flowers, insects, and food, then look for digital cameras that support macro photography. These cameras are still able to focus on the subject even when the lens is only 1 cm away, but the maximum distance you can get close to a subject will be different per camera, so make sure to check it out. 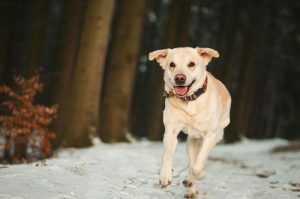 Taking photos of children, pets, or any fast moving objects will be difficult if your camera can’t keep up. Look for compact digital cameras with more than capable Auto Focus (AF) tracking systems and fast shutter speeds that will get you the shot you want. Traveling with a bulky DSLR can become a hassle because of its size and weight. That’s why if you’re practicing street or travel photography, then we suggest using a lightweight camera that weighs about 0.67 lbs (300 g) or a bit more if the camera has a viewfinder. Also, make sure that a camera can shoot a minimum of 200 photos before running out of battery. If you plan on using it for a whole day of sightseeing, it’s also a good idea to bring a spare battery. Most compact digital cameras don’t come with a viewfinder and rely on the rear LCD screen for composition and framing. The absence of a viewfinder means that you need to have a good LCD screen in order to take good photos, and choosing a camera with a 3-inch or larger screen or even a touch panel will definitely make your life easier. For a more genuine shooting experience, check out cameras with a viewfinder. It will be similar to taking photos with an SLR. Having a viewfinder also has other advantages–it helps you stabilize the device while it’s up against your face and helps you conserve battery by not using the LCD. In this segment, we’re going to show you the different types of compact digital cameras on the market depending on the budget and preferred application. 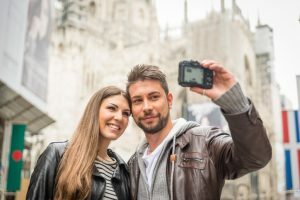 Despite the fact that we can now easily take pictures with our smartphones while on vacation, we tend to face the dilemma of running out of battery. That’s why it’s better to get a compact digital camera under ₱10,000 to replace your smartphone camera. These cameras weigh around an average of 200g and come equipped with a 1/2.3 image sensor, an aperture of f/2.3, and a maximum ISO of 3200. Some can even have an optical zoom of 30x or more. Cameras in the ₱10,000 to ₱30,000 price range usually come with a bigger one-inch sensor, which will definitely give you better quality images compared to a smartphone. 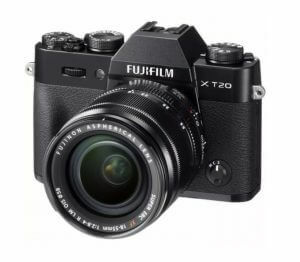 These cameras also usually have a maximum aperture of f/2.0 and an ISO that can go up to 12800, so you’ll get your money’s worth with all these features. 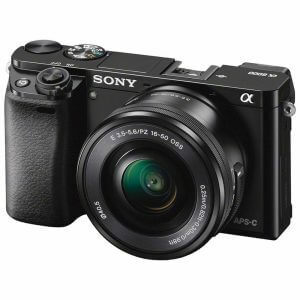 Digital cameras that cost ₱30,000 and up are usually equipped with an APS-C image sensor same to that of DSLRs. These cameras can produce images with the same quality as DSLRs. These cameras also allow you to fix the aperture, ISO, shutter speed, and focal point for every shot. These cameras produce amazing images, but some may cost you over ₱50,000. 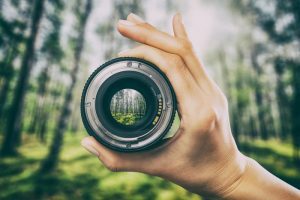 We know that getting to know the ins and outs of searching for the right digital camera is a lot to absorb, but it will definitely help you get your money’s worth. 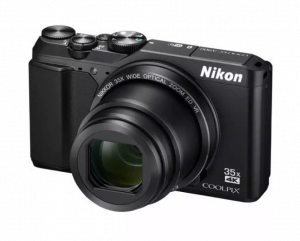 Now, let’s move on to our list of the best compact digital cameras in the Philippines. This camera is tiny–it’s even smaller than your average credit card. It’s also loaded with different auto settings, so all you have to do is point and shoot. 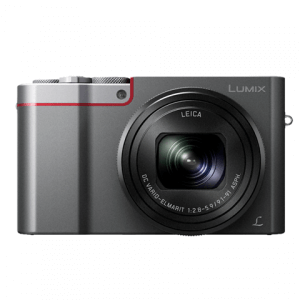 It packs a 10MP 1/3-inch sensor in its diminutive 82 x 51.9 x 16.9mm body. At 10MP, its sensor doesn’t give high-quality images, but its noise control is quite decent. Ultimately, its size makes it a good choice for travelers that want to capture moments without packing heavy equipment in their luggage. This camera offers wireless connectivity, such as Wi-Fi and NFC, for easy file sharing across compatible devices. This point-and-shoot offers a little control–program mode allows you to change the ISO, but not aperture and shutter speed. It also won’t take long to start up the camera–you only need to wait 1 second before you can start shooting. The autofocus is quick in well-lit areas, but in dim areas, it will struggle quite a bit. You’ll also be able to focus at a close range thanks to its macro setting, which should automatically activate when you get close to your subject. This camera has an autofocus speed of 0.06 seconds, making it one of the fastest in the market. It has a burst mode shooting of 11fps, which means you can continuously shoot 21 RAWs or 49 JPEGS before you start experiencing lag. Its low light performance is also notable. You can bump the ISO up to 3200 for regular sized prints or 6400 for social media posts without noticeable noise or grain. It also offers NFC and WiFi connectivity, so you can easily pair it up with your phone to share your photos. This compact digital camera looks like a downsized version of a DSLR, except you can’t change its lens. On the plus side, you can take advantage of its 42x optical zoom lens to get a close shot without having to stand near your subject. Couple that long focal length with a strong image stabilization and you’ll be able to take sharp images while shooting wildlife or sports events. Use it in a well-lit stadium or on a daytime hike in the forest and this camera will yield great results. This camera’s biggest selling point is its lens, which is a full frame equivalent 24-70mm lens with an aperture of f/1.8. Its reach may seem a bit restricted for some users, but its wide-angle end is great for landscapes, while its telephoto end is great for portraits. People who love taking selfies will be able to take advantage of its 3-inch tilting LCD screen, which shows crisp images at 1.23 million dots.It also has an electric viewfinder, which is useful when our surroundings are too bright to view what’s on the LCD, but it does take quite a while to activate. Many compact digital cameras have tough exteriors, but they’re still quite fragile. Enter this point-and-shoot camera with its rugged waterproof, dustproof, and crushproof casing. Adventurers can consider this camera for the next time they plan an outdoor trip. You can even choose to shoot in RAW or JPEG format; the former will give you more flexibility in post-processing images. Even though its settings menu will take some getting used to, you’ll get a very durable camera that you won’t be afraid to use on your next wild outdoor trip. Most zoom cameras are bulky and a hassle to take with you when you want to pack light. This camera can fit right in your pocket even with its 1-inch 20MP sensor and 20-250mm full frame equivalent 10x optical zoom lens. Thanks to its 1-inch sensor, its image quality and 4K video are quite good–even at ISO 2000, you’ll have trouble finding noise or grain. Its main weakness is its small, low-resolution electronic viewfinder, but it beats having none at all. 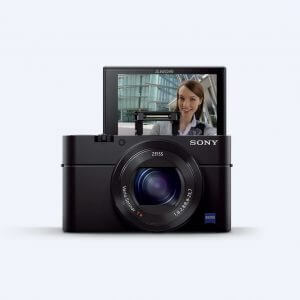 This low-profile camera, which can slip right into your pocket, is the perfect partner for street photographers. It has a textured rubber grip, which means it won’t easily slip out of your hands. Its best feature is its “snap focus,” which allows you to set a focusing distance, thus eliminating shutter lag. This means it will take the picture the exact moment you click the trigger. 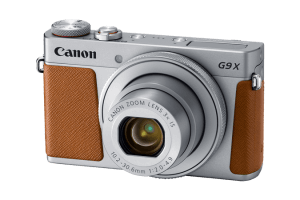 It has a maximum aperture of f/2.8 and a 16 MP APS-C image sensor. It produces high-quality RAWs or even JPEGs–that’s right, it’s great enough that you might not need to post-process your images. Just note that it has a fixed 28mm prime lens that you can’t change, so it means you’ll have to manually move closer or farther away from your subjects. 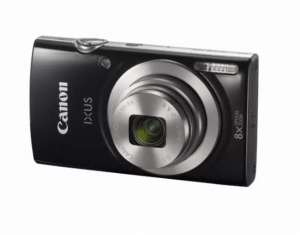 This pocket-friendly camera has a 1-inch image sensor and weighs just 7.3 ounces. 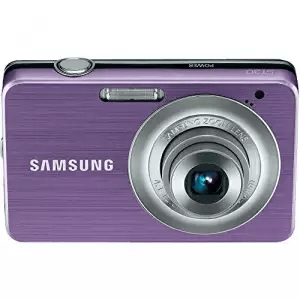 It has a burst shooting function which can continuously take 23 RAW or 39 JPEG shots. Plus, it can easily connect to your smartphone or computer through WiFi, NFC, or Bluetooth. This camera’s 28-84mm 3x optical zoom lens does have a short focusing distance great for macro photography, but it can be finicky in low light conditions. 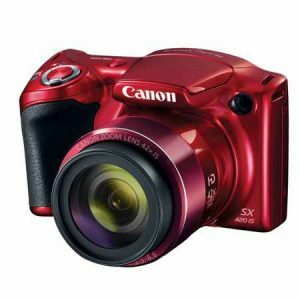 This camera is meant for casual everyday use and is not suitable for sports or action shots and portraits. 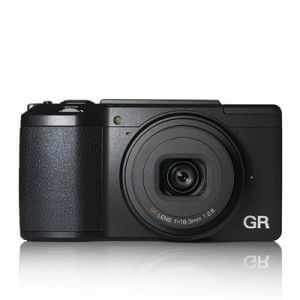 This camera packs a 1-inch image sensor, 24-360mm lens, and 15x optical zoom in its compact body. 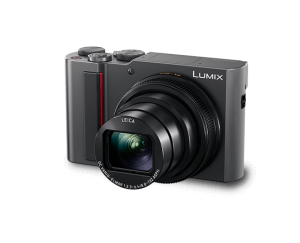 It uses Panasonic’s Light Speed AF Technology, which makes focusing on subjects quick and easy. Its lens can focus on subjects up to 3 cm away, allowing you to shoot macro. Video enthusiasts can take advantage of its 4K Ultra HD video recording, which can also be dialed down to 1080p to save memory space. It also comes with a 2.33 million dot electronic viewfinder (EVF) and a sharp 3-inch 1.24 million dot touch capacitive LCD screen for clear viewing. If you’re planning to dish out several thousand pesos for a digital camera, then why not consider a mirrorless one? But before you decide there are a few things to consider. Before buying a mirrorless camera, you must consider its cost. For example, if you were to buy a ₱50,000 digital camera, might as well go for a mirrorless that will cost less, right? It may seem cheaper, but actually, you’ll have to buy lenses that might cost you more money in the end. 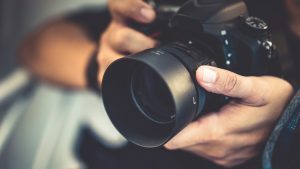 Depending on what you plan to use the camera for, it may be a pro or a con for a camera to support interchangeable lenses. Mirrorless cameras are lightweight devices, but most point-and-shoot cameras are even lighter. Also, depending on what lens you choose for it, a mirrorless camera can weigh up to 5kg or more. 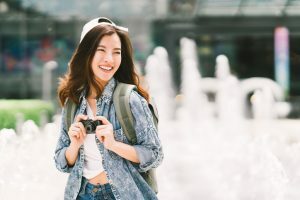 If you don’t want to be bogged down by additional weight (especially if you’re traveling), then we recommend you to get a compact digital camera. Yes, mirrorless cameras are great because they’re lighter than DSLRs, plus they support interchangeable lenses. But just like DSLRs, it will take a lot of study and practice before you can master its features. 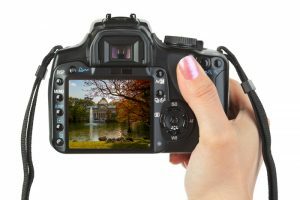 A point-and-shoot, on the other hand, is straightforward and easy to use–you won’t need to study and master the exposure triangle (aperture, shutter speed, ISO) in order to take great photos. It’s light and small enough to bring everywhere, so you can take photos at any time, but if you want more control while taking photos, then a getting a mirrorless camera might be a good idea. 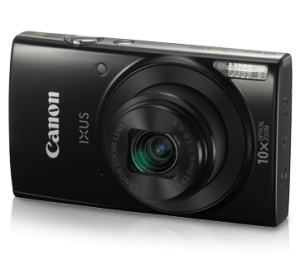 If you just need a casual everyday camera, then a compact digital camera will do just fine. Choosing the best compact digital camera might be complicated at first, especially if you’re new to the world of photography. But hopefully, our guide and list have helped you understand what you want or need in a camera.